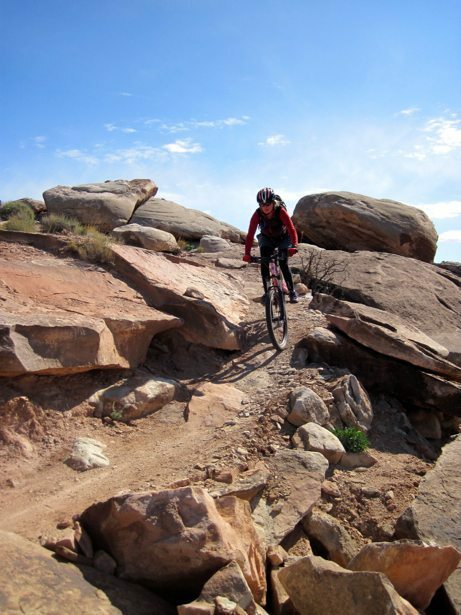 We continued to explore the Moab mountain bike trail systems and ventured out to the Klonzo area yesterday. 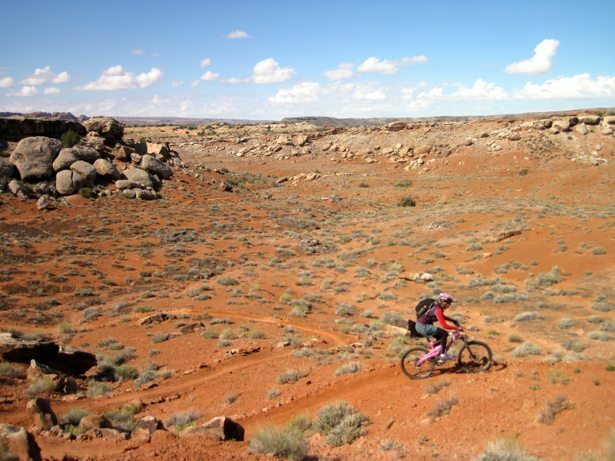 It is 12 miles north of Moab and next to the Sovereign Trail off-road system. It was a great trail system built through a system of 4 loops and some connector trails. A 100% intermediate system, it was a nice mix of slick rock and dirt/sand trails. 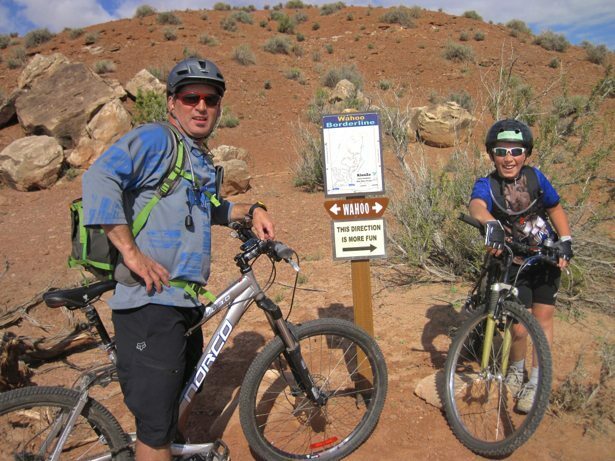 We chose to do the “turn right” network as recommended by the Utah mountain bike trails website. It was an 8.5k cross country ride with lots of variety and diversity.